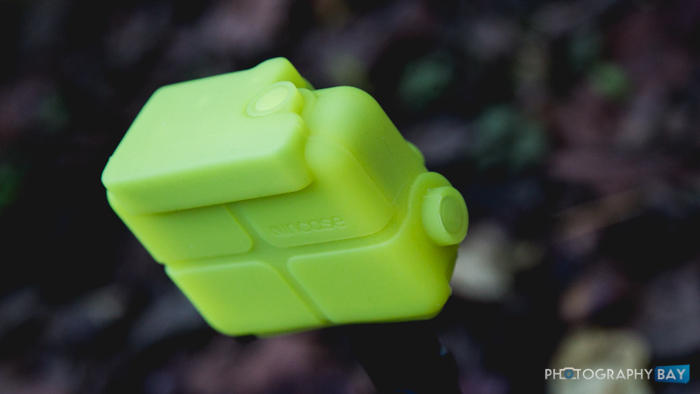 The InCase Protective Case for GoPro HERO cameras is a rubberized, form-fitting shell that fits snugly over the GoPro’s dive housing. 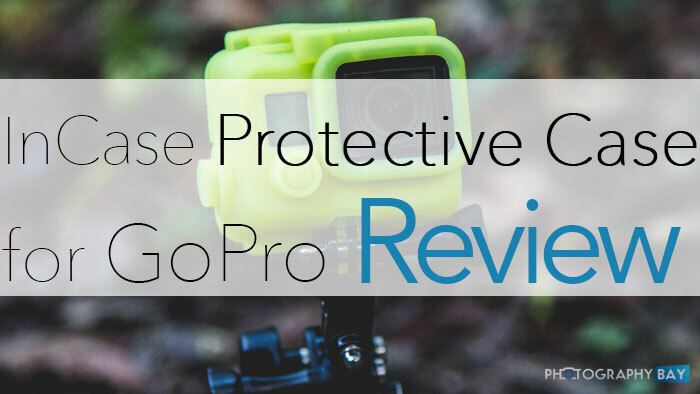 The new Protective Case works with the GoPro HERO3, HERO3+ and HERO4 models. It slides on over the top of the dive housing and has an exact form fit to the front, top and side buttons that are accessible on the dive housing. The case is available in either black or yellow. 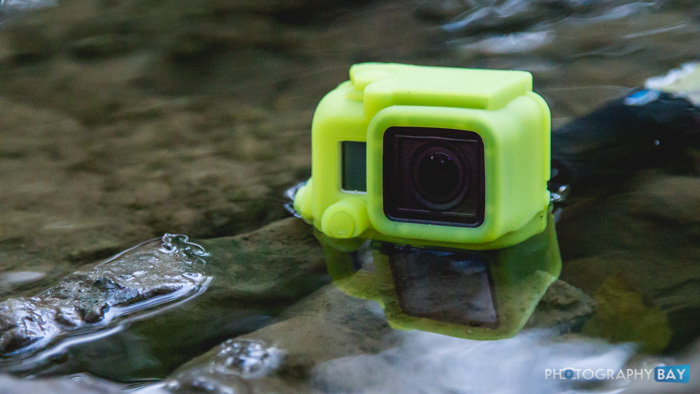 The soft silicone material provides some additional protection, especially when your GoPro may come into contact with hard surfaces. It’s fine to take underwater; however, I felt the need to remove it before stowing my GoPro in order to prevent water being trapped between the case and the housing. The main reason I did this was to avoid any potential mildew that might otherwise occur. 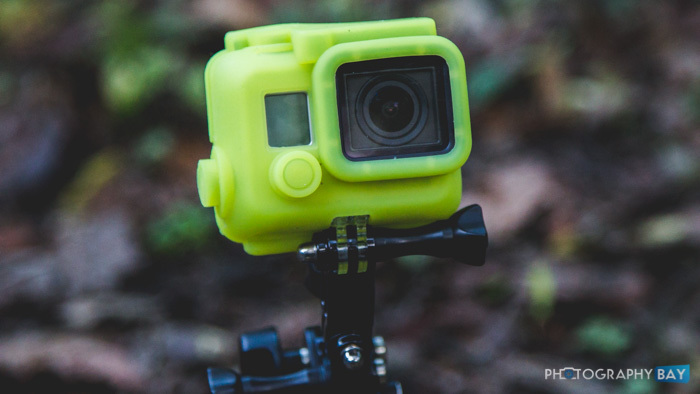 The only real issue you might encounter is if you are using external lens filters for the GoPro because the case wraps around the lens edges, which is typically a mounting point for external lenses and filters. The case slides on easy enough. However, you really have to remove all other mounting hardware in order to get the bottom flaps to properly seat around the bottom of the case. It’s just too difficult to maneuver those the case into position with the thumbscrew mounts right under the camera. The case fits snug and does not interfere with any camera operation. A small window allows you to see the GoPro’s LCD through the dive housing. I can confirm that the yellow version of this case also allows you to see the record light; however, I have not used the black version and I am not sure if it has a translucent finish. If you are planning on shooting with GoPro cameras where there is a potential to drop the cameras on concrete, asphalt or other hard surfaces, this little case could offer piece of mind for future those risky shooting situations. 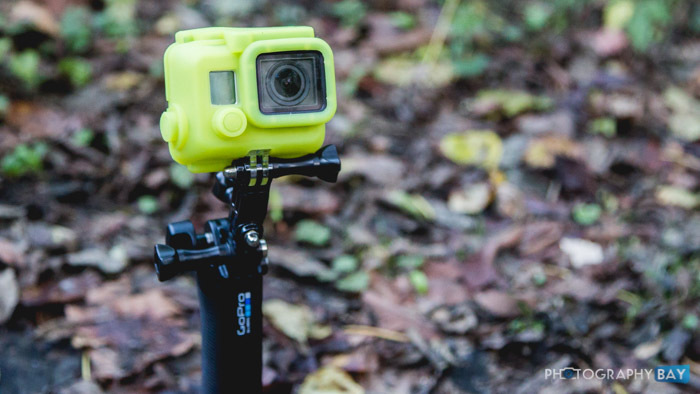 They are pretty affordable as far as GoPro accessories are concerned and they seem to be very durable. By making your photography purchases at Amazon and B&H Photo through these links, you are helping Photography Bay to continue bring quality camera tests, news and reviews. Thanks for your continued support.